The Ultra-Stik works with the Xbox Adaptive Controller and Windows PC. Optional extras include switch sockets, alternative joystick tops and the Game Control Mixer for use on other games machines. 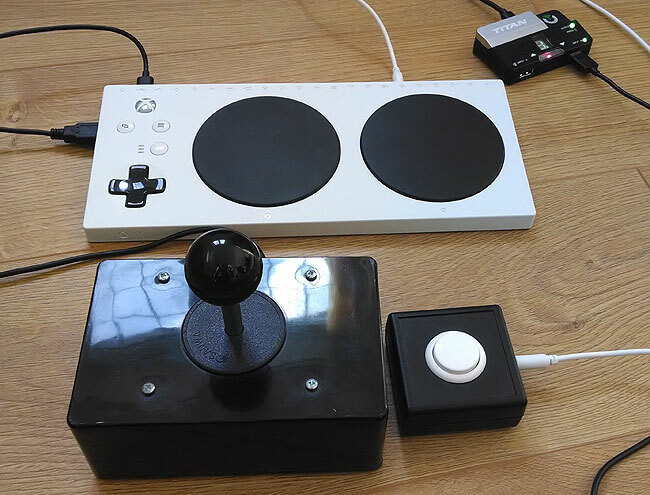 PC and Xbox Adaptive Controller compatible. Analogue joystick for precise control. Switch socket options for PC users. Can act as a Mouse replacement on PC with free software such as JoyToKey. 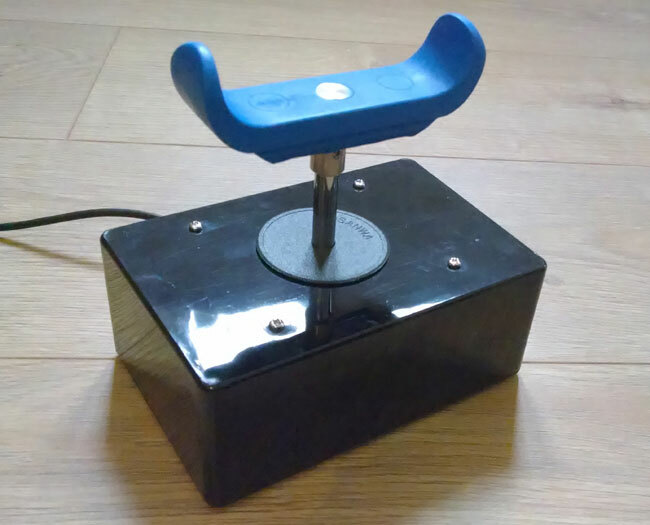 A velcro base to secure the joystick such as the Trabasack Connect range or Maxess Switch Tray recommended. Alternative tops available or build your own (ball top uses M6 standard thread, bat top M10 thread). Optional Game Control Mixer enables connection to Playstation, Nintendo Switch, Xbox 360 and much more. Dimensions (ball-top): 12cm high. Base 14.5 x 9.5cm. Stick can freely rotate without damaging the internal workings. Optional accessibility switch sockets allow for a huge range of controls to be attached. Use the switches and/or joystick as a Mouse controller using JoyToKey (and video of JoyToKey here). Use to browse the internet and much more. Best with 8 switch option or via an Xbox Adaptive Controller. 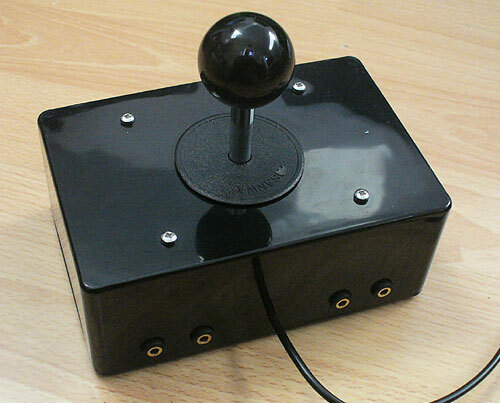 Joystick Tops: OneSwitch can supply the standard ball top in black or red or a bat top. Additional MERU tops (see below) can be ordered in a range of styles for around £35. Game Control Mixer video below shows some of what is possible. The LED compass and joysticks are not available with this option.